ADDRESSING a conference in his home state of Gujarat on January 10th, Narendra Modi, India’s prime minister, exuded confidence. India’s economy is the fastest-growing and one of the most open in the world, he declared, reaffirming his government’s commitment to reform. The 5,000-strong audience, sprinkled with foreign heads of state and corporate bigwigs, applauded warmly. One multinational’s boss drew cheers with a sycophantic call for India to “export” Mr Modi to run his home country, America, too. The optimism and praise, however, contrasted with sobering economic news. Since November rating agencies have sharply lowered their growth forecasts. Small and medium-sized firms report big lay-offs. Vehicle sales fell in December by 19% compared with the previous December, their steepest drop in 16 years, says a car-industry lobby group. Housing sales in India’s eight biggest cities slid by 44% in the last quarter of 2016 compared with the year before, reckons Knight Frank, a global property firm, in a report. “The Indian government’s demonetisation move on November 8th brought the market to a complete standstill,” it says, alluding to Mr Modi’s surprise order to withdraw 86% of the notes used in daily transactions. There is little doubt that Mr Modi’s assault on cash has caused ordinary Indians disruption, annoyance and, particularly for the poorest, severe distress—though the pain is easing now as the government prints more money to replace the scrapped notes. Yet just as would-be foreign investors seem happy to continue boosting Mr Modi, many Indians also still trust and admire the prime minister. Like America’s president-elect, Donald Trump, who once claimed he could “shoot somebody” and not lose votes, Mr Modi’s support seems oddly unaffected by his flaws. Anecdotal evidence, online polling and informal surveys all suggest that the prime minister’s misstep has scarcely dented his standing. Opinion polls in India have a poor record, and none published since the demonetisation drive has specifically measured Mr Modi’s popularity. However, two surveys carried out in December in the state of Uttar Pradesh, India’s most populous, suggest that his Bharatiya Janata Party (BJP) remains poised to perform well in imminent state elections. When the results from several rounds of voting are tallied in March, the BJP could be basking in its biggest triumph since Mr Modi won national elections in 2014. The party has not suffered in municipal votes in several states since November and is well positioned in several other looming state polls. Prior to the demonetisation drive, Mr Modi had handily weathered other storms. Murderous communal riots tarnished his long term as chief minister of Gujarat, for instance. Yet according to Pew, a research firm, the prime minister’s popularity in mid-2016, at an enviable 81%, had declined only marginally from a stunning 87% the year before. The liking is personal: Mr Modi regularly scores higher in such polls than either his party or his policies. Some pundits speak of “Modi magic” to explain his immunity from criticism, but there are more straightforward reasons. One is the prime minister’s talent as a politician. Although often dour in countenance, Mr Modi is a pithy speaker in Hindi, with an unerring nose for the class-driven grudges that often guide voter sentiment. In debates over demonetisation, he successfully projected himself as a champion of the common man against currency hoarders and tax evaders. He is also extremely protective of his own image as a man above the fray. Mr Modi’s dress, gestures and public appearances are theatrically staid and uniform, punctuated by meaningful looks and silences. He does not hold press conferences, preferring to retain control of his narrative via carefully rehearsed interviews and his monthly “From the Heart” radio address. Mr Modi is also lucky. His well-funded, highly disciplined and pan-Indian party faces an unusually divided and uninspiring opposition. Congress, a party that ran India for decades and still commands a nationwide base, is burdened by squabbling and corrupt local branches and a lack of clarity over ideology and the role of the Gandhi dynasty. India’s many other parties are all parochial, tied to the interests of one state, caste or other group, and so with little hope of playing a national role. Handed the golden opportunity of Mr Modi’s demonetisation fumble, the opposition has failed to mount a united charge. Other institutions that might check Mr Modi’s ambitions, such as the press and the judiciary, are also not as vigilant as in other democracies. Some parts of the media are owned by Mr Modi’s friends and supporters; others by business groups with interests that are vulnerable to retribution. Journalists, whistle-blowers and activists are keenly aware that critics of the government often pay a price, whether in the form of “trolling” on the internet, harassment by officials or spurious lawsuits. India’s courts, meanwhile, do often clash with the government but are cautious in picking fights: on January 11th India’s supreme court airily dismissed a public-interest lawsuit demanding investigation of documents that appear to implicate dozens of officials in bribe-taking. Even Mr Modi’s foes believe his administration is less corrupt than previous ones have been. However, as the banknote debacle revealed, it is not necessarily much more competent. The most iron-clad rule of Indian politics is anti-incumbency. Even the investors vying for Mr Modi’s attention may take note that, for all the talk of openness, India still has some of the world’s most tangled rules, highest corporate tax rates and most capricious officials. 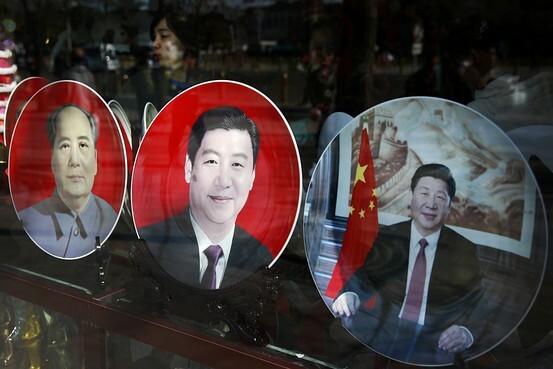 “CHINA is moving towards one-man rule as the state media step up demands for personal loyalty to President Xi Jinping, a departure from the Communist party’s collective leadership of recent decades. Last week the party’s flagship newspaper issued a call for Xi to have the power to “remake the political landscape of China”. The article, supposedly written by one of a literary group, was put out on a social media account run by the People’s Daily. It said all communists must be loyal to Xi and “line up with the leadership”. The campaign to enshrine Xi as the infallible “core” of authority is worrying many inside the political elite and coincides with China exerting its military muscle and possibly preparing to change its nuclear weapons strategy. The People’s Liberation Army (PLA) has just stationed surface-to-air missiles on a disputed island in the South China Sea. The Chinese expansion comes as Barack Obama rallies Asian nations to support free navigation in the strategic waterway. The prospect of one man dominating the party, the state and the army in China could be the most challenging test in the next American president’s in-tray. Xi’s grand plans include a total reorganisation of the Chinese military command structure that has included an internal debate about its nuclear weapons. Xi recently formed a dedicated PLA rocket force to control the nuclear ballistic missile arsenal. 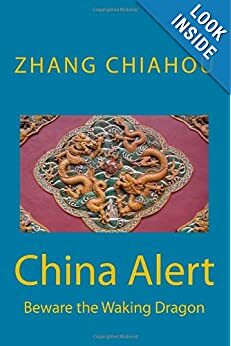 A report for the Union of Concerned Scientists, a US-based group, says China may be considering placing its nuclear forces on alert, which means that, like America and Britain, its weapons would be ready to fire on command. That would be a shift of position for a nation that affirms it will not be the first to use nuclear weapons in any conflict. China has already started an ambitious programme to upgrade its older missiles with multiple warheads like those of other nuclear powers. 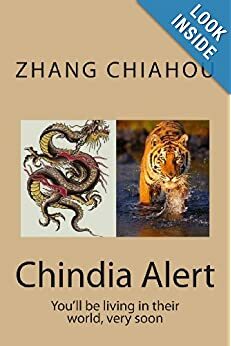 It is clear that, like Mao, Xi, 62, is using articles and essays in the state media, often penned by pseudonymous authors or published in the provinces, to intimidate his enemies and promote himself. Last week a social media platform controlled by the Beijing Daily, the voice of the capital’s municipal committee, launched a striking attack on a party faction opposed to Xi, the Communist Youth League. Officials connected to the league were “ambitious aristocrats whose self-serving attitude did no good to the party and led to scandals”, it sneered. Targeting the league — whose members include the prime minister, Li Keqiang, and the former president, Hu Jintao — is a signal that Xi has broken with the consensus set after the unrest of 1989 that the party’s factions do not attack one another in public. In the past, a league connection meant a fast-track to promotion for young high-flyers. Now it seems to be a liability. A study by the Central Commission for Discipline Inspection — the party watchdog unleashed by Xi against rivals accused of corruption — has criticised the “mentality” of league members. The commission’s propaganda publication, the China Discipline Inspection Paper, warned against “those who form their own circles inside the party” and referred to fallen officials as “gangs”. This Mao-era language singled out the “petroleum gang” under the purged security chief, Zhou Yongkang, whose cronies dominated the Chinese oil industry, and the “secretary gang” around Ling Jihua, a close aide to Hu and a former league stalwart. Ling is already under arrest on corruption and bribery charges. Defining people as members of “gangs” or “cliques” is a classic tactic of communist infighting and a prelude to destroying them. Chilled by the signals from the top, half the provincial party chiefs in the country this month pledged allegiance to Xi as “the core”.